Add storage capacity for the longer haul! 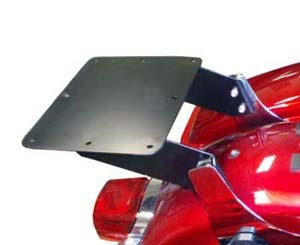 DR-1: Easy on and off Trunk mount for the Harley Davidson Dyna Switchback, Street-Bob or other Dyna models with 185-190mm (~7-3/4") between the rear backrest side plates! 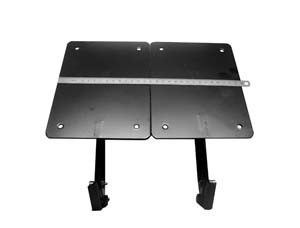 Made ​​of 3mm sheet metal with side plate installation hardware included. 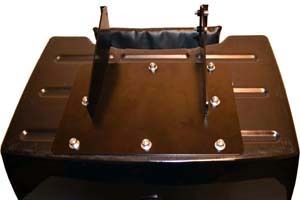 There are 8 holes available for tour-pak mounting. 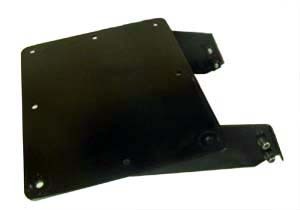 Black powder-coated mounting plate. Easy installation. Trunk installation hardware sold separately. See our Storage & Security page for our line of tour-paks and trunks. 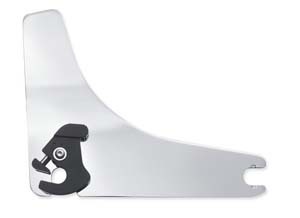 DR-1A: Similar to the DR-1 but split design to allow adjustability for fitment on other Dyna platforms (as well as the Switchback) or bikes with narrower or larger backrest side plate measurements. 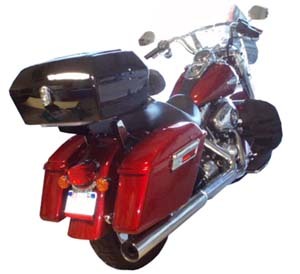 Also compatible with many XL models and many Softail models. 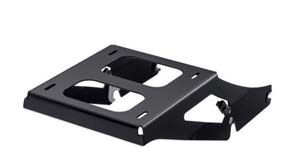 DR-HW: Hardware for installation of tour-pak or trunk to the DR-1 or DR-1A to required sideplates, if needed. 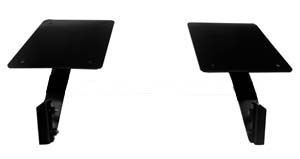 DR-DHSP: Detachable docking hardware and sideplates package for the DR-1 or DR-1A; if you do not already have them. Chrome for MY 2012 to 2016 Dyna Switchbacks. Special Order item. 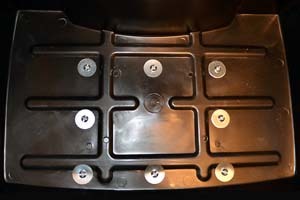 DR-SP: Side plates only for in chrome for 2012 to 2016 Dyna Switchback. Special Order item. 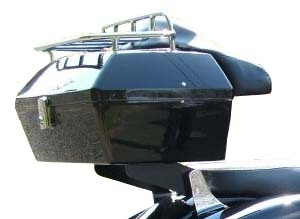 DR-ST: Fixed Side plates only in chrome for 1986 to 1999 Softail. Special Order item. 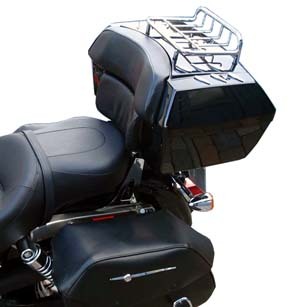 SG-1: Switch from a comfortable passenger backrest to load-hauling Tour-Pak® luggage in seconds. 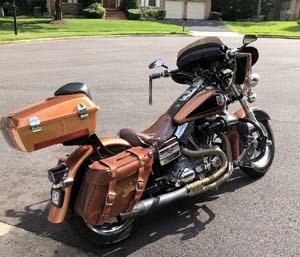 You can easily remove the Tour-Pak® luggage for easy maneuverability around town and reinstall it for an epic ride across the country. It's your choice and Harley-Davidson® provides the flexibility to do it your way. Gloss black finish. Fits '18-later FLSB models equipped with a two-up seat. 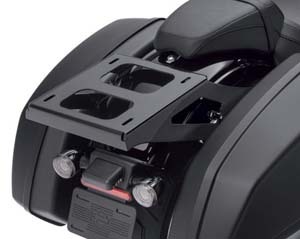 Installation requires separate purchase of model-specific Docking Hardware Kit.